Wout Poels won stage four of the Tour of Britain in Teignmouth on Tuesday, making for a successful 24 hours for the Dutchman. The night before, the 22-year-old learned that he would be riding in the Dutch team at the forthcoming World Championships following Laurens Ten Dam’s crash in the Vuelta a Espana. Poels is part of a very aggressive Vacansoleil team who were the only ones to put up a unified challenge against HTC-Columbia today. Working with Dan Martin (Garmin), who spent almost every kilometre of the stage off the front of the bunch, Vacansoleil’s leader Johnny Hoogerland put the pressure on HTC and put himself in to virtual yellow as the pair, along with Sky’s Matt Hayman, built up a lead of over three minutes. With Marco Pinotti pulling out due to sickness, and Mark Renshaw and André Griepel not suited to the constantly undulating roads of Devon, Vacansoleil figured they had a chance against HTC. Unfortunately for them they didn’t figure on Tony Martin. The German was once again a man mountain and helped his Swiss teammate Michael Albasini hold on to the race lead. We’ll wait and see what price they pay for today’s effort as this year’s route continues to take its toll on the field. Today’s stage threatened to descend in to anarchy at one point as the peloton was split in to several small groups and spread over a large time difference. 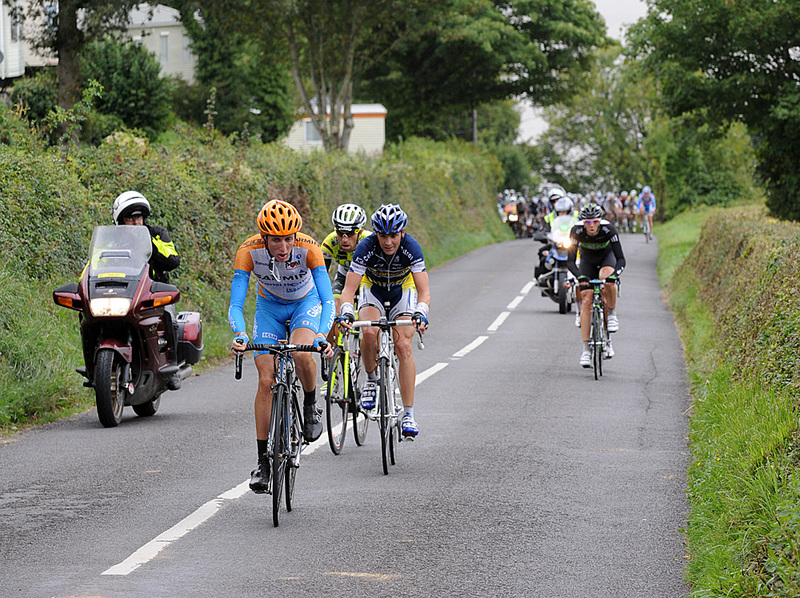 Eventually a peloton of around 70 riders formed at the back of the race and eased off the pace as they did. With 20 minutes between them and the leaders, some frantic telephone calls from the race officials came through to the British teams. The request was for the British teams, who are being obviously outclassed this year, to start riding as the organisers got nervous about keeping the roads closed for so long. But they got short shrift as the teams knew there was no chance that two thirds of the race would be pulled out on the ten percent time limit rule. 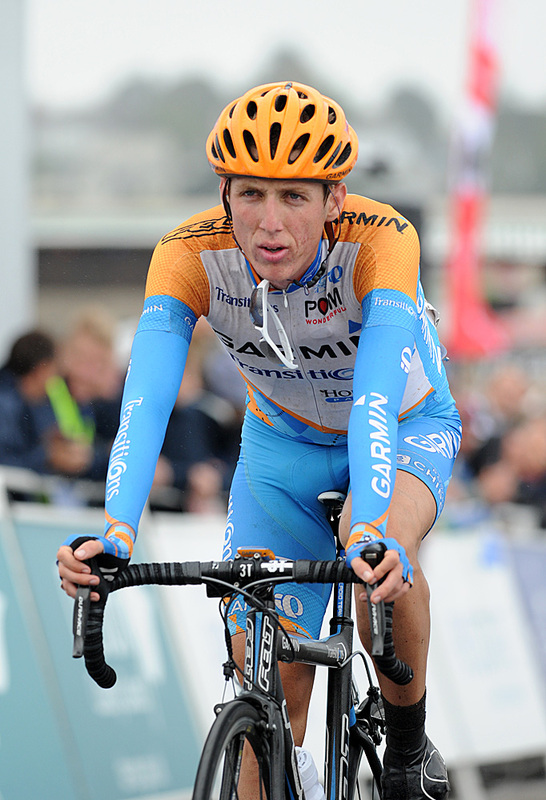 The damage was largely being done by a rampaging Dan Martin. The British-born Irishman had attacked at kilometre zero and never looked back. Each time he was brought back, by the ever decreasing group behind him, he simply attacked again. 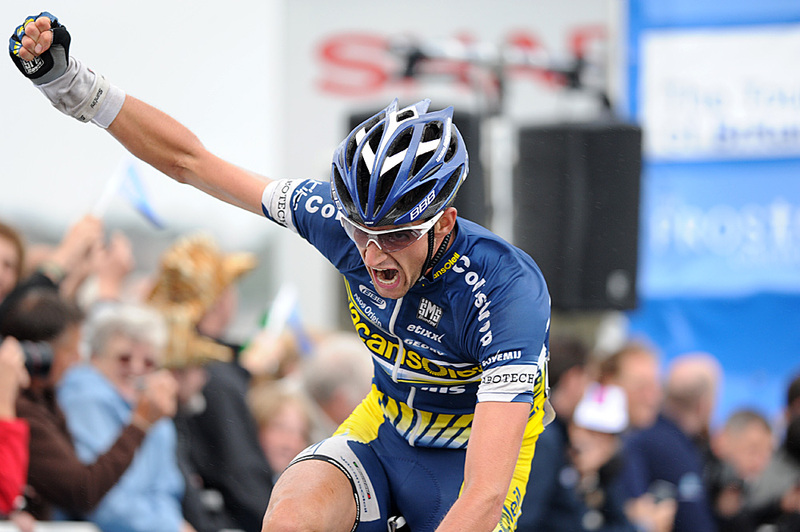 Martin eventually looked like he’d cracked it when he built up a three minute lead with Hoogerland and Hayman. Although initially annoyed at Hoogerland’s presence – he knew a GC contender would be chased down – Martin’s complaints weren’t too vociferous as Hoogerland was pulling such strong turns. Martin’s fears proved right as HTC started to slowly bring the gap down in the last 30km Some help from Saxo Bank then brought the gap tumbling down. With 10km to go it was all back together, leaving Poels to attack on the final climb. Obviously having put any thoughts of the world championships to the back of his mind, Poels took the necessary risks on the descent in to Teignmouth and the tight roads through the town to the sea front. It was only when he hit the finishing straight that he knew he had the stage sewn up. But before he can start thinking of Melbourne on October 3, he and his team mates still have a job to do here.